The result was eight diamonds. I assembled those into halves. If you look closely, you can see that the center corners don’t match up. 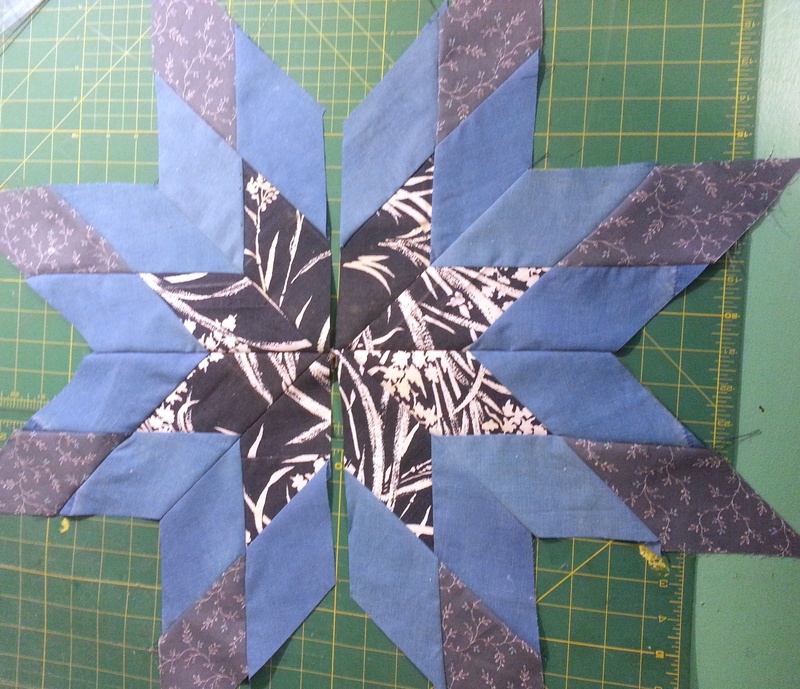 That’s because the pieces were all slightly different sizes — I’m terrible at template cutting and should stick to a ruler and angle when I want to cut accurately. 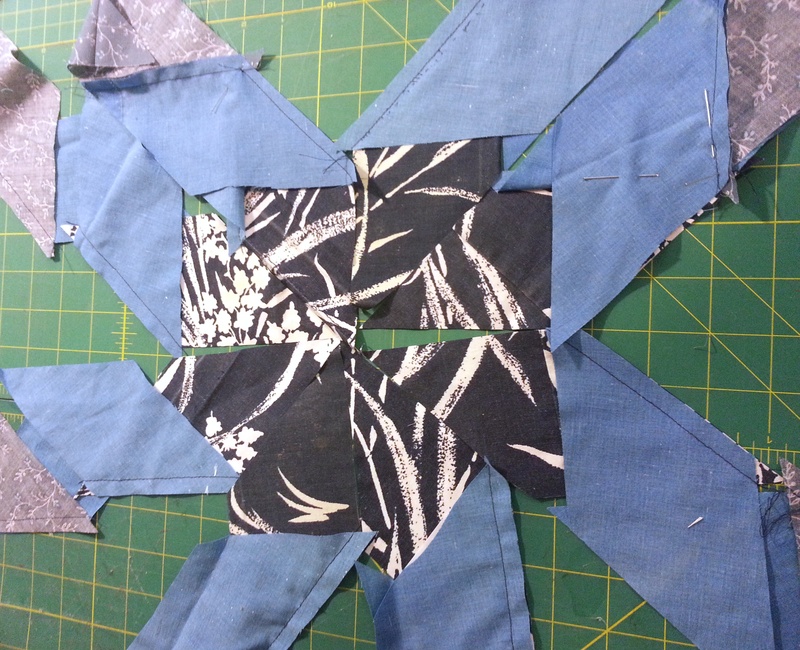 Obviously I didn’t care so much about it that I was going to tear apart all the seams and redo it. 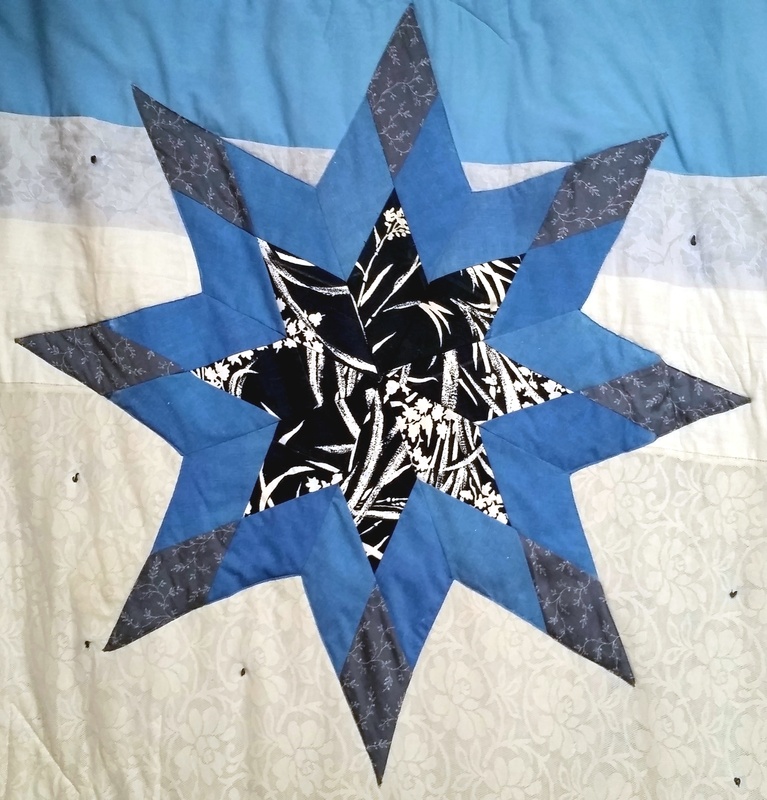 So instead I decided to line up the two halves at the outer edges of the dark diamonds, since having it askew at a point where the color shifts from dark to light would have been more noticeable than having the star askew at the center, where all the fabric matches.